Operation Sandwich is going into its sixth year. 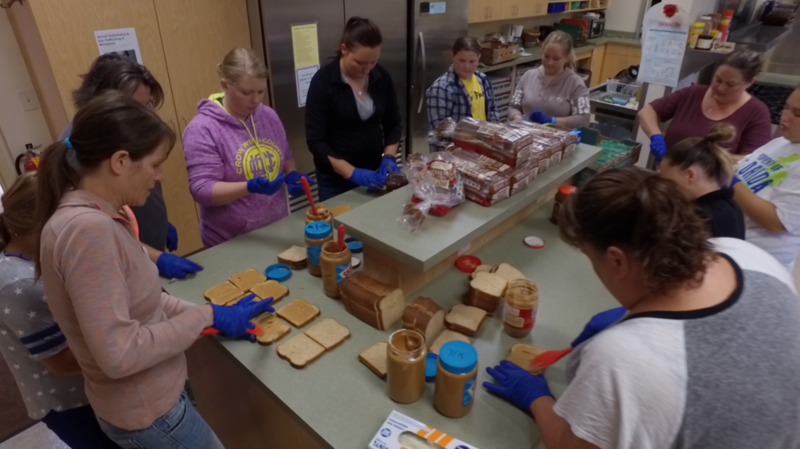 Operation Sandwich was started by a group of local Lutheran churches who heard the cries of the children of our area who during the school year eat free and reduced lunches, but in the summer lack food stability. The plan for this year is to serve at eight locations four days a week. This year Bethlehem has the honor of hosting the sandwich preparation. Food will be served Monday, Tuesday, Wednesday (except the 4th of July) and Thursday through the end of August. We are in need of bread, peanut butter (any kind), jam (Kirkland brand works best for ease of spreadability), fruit cups, granola bars, fruit snacks, individually packaged snacks, sandwich baggies, plastic spoons, and food handling gloves. If you are interested in donating to Operation Sandwich, you are welcome to bring supplies into the church. We also accept monetary donations to help purchase fresh fruit and veggies.